Is it a werewolf or something entirely different? Ever since the 1980s there have been many reported sightings in Elkhorn, Wisconsin of some unknown creature, now known as the Beast of Bray Road. Witnesses have said a few different things about the beast – some say it resembles a hairy biped like Bigfoot. Others have said that it’s an unusually large and highly intelligent wolf that able to walk on its hind legs. Then there are those that say it’s a mix of the two above. 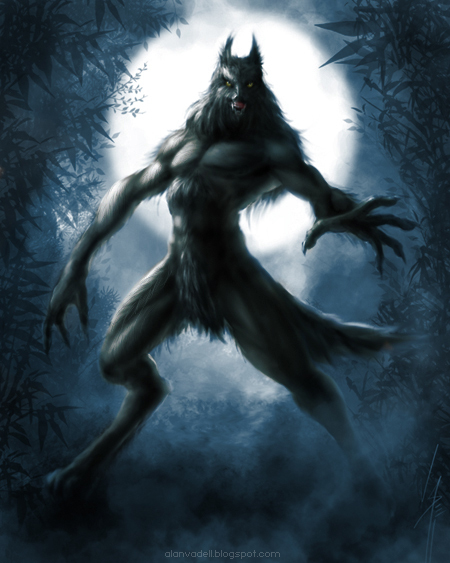 Newspapers and other various reports have labeled it a werewolf even though no one has seen it shapeshift. But, there is one witness that claims to have seen it morph from a wolf-headed human to an ape-headed one. Not all reported accounts are as ridiculous as that though. Two men reported that when driving home from a friend’s house they saw a big creature kneeling on the side of the road eating road kill. The second one of them rolled their window down the creature spotted them and instantly attacked the car. The two men fled and reported the incident to the authorities, but no evidence was found except for large claw marks down the side of their car. Even though know one has found the actual beast, people still believe all the rumors and reports. Once, the authorities arrested a man for DWI and on the man they found a gun with silver bullets. The frightened man said it was for protection, just in case. Chances are it is probably a result of mass hysteria – something that grew into this huge thing by a bunch of attention seeking and scared people. It doesn’t help that each witness account is different from the others. But who knows. Is Pepto Bismol a Cure for Being a Werewolf?